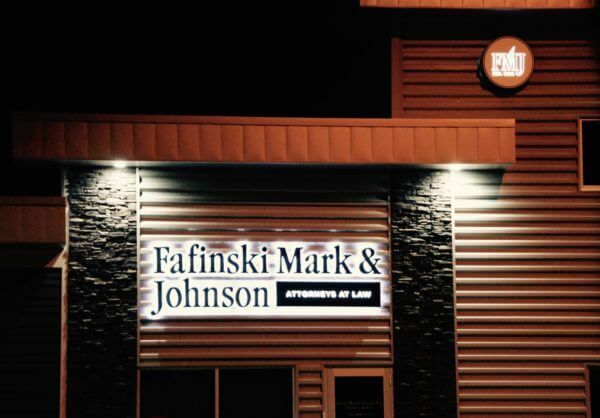 FMJ Expands Presence with Second Office | Fafinski Mark & Johnson, P.A. We recently announced that our new office is open for business in New Ulm, Minn. The office is located at 700 North Minnesota Street, Suite B, in New Ulm with a toll free telephone number of (855) 806-1525. Our expansion into the southern Minnesota community is part of our plan to expand our agricultural law practice by establishing a physical presence near many of the clients we serve. Chairing FMJ’s Agriculture group is attorney Jared D. Peterson who joined the firm this year as a shareholder. Jared has legal experience in all aspects of agribusiness, including general corporate and transactional matters, farm succession and estate planning, and litigation. He represents a variety of cooperatives and independent elevators, including grain, feed, chemical and fuel. Jared provides representation on the full spectrum of legal issues for businesses, including governing documents, contract, employment, and real estate matters, credit issues, litigation, complex multi-state mergers, acquisitions, and more. In addition to serving business clients, Jared also represents individuals in estate planning, probate needs, and personal injury cases.